Product prices and availability are accurate as of 2019-04-19 14:49:23 UTC and are subject to change. Any price and availability information displayed on http://www.amazon.com/ at the time of purchase will apply to the purchase of this product. Solid Crepe Back Satin essentially is a satin-based fabric that has a crepe backing. Used Satin Fabrics are on the light and thin side. Solid crepe back satin has the surface feel and look of Satin, but because of the backing, it makes it thicker and heavier. 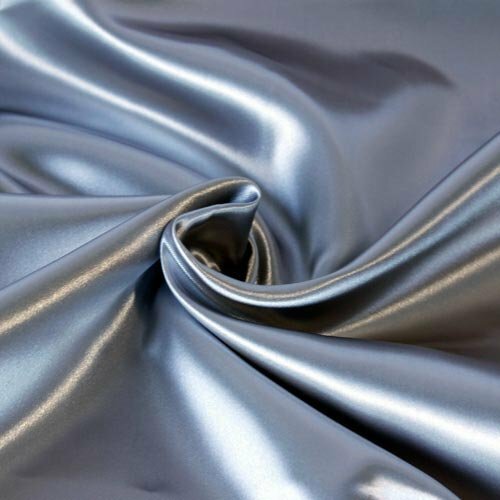 The satin side has a gloss and reflects light very nicely and has a silky soft touch. The fabric has a width of 60", is sold by the yard and in continuous yards. USES: Can be used for Dresses, Skirts, Wedding Dresses, Festival Skirts, Gowns, Cloth Linings, Blazer Linings, Skirt Linings, Top Linings, etc.